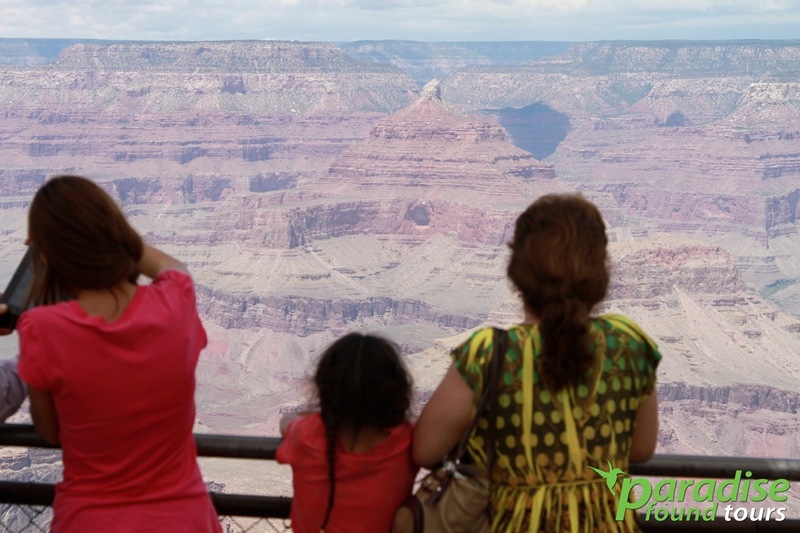 Grand Canyon Mather Point is one of the busiest and most sought-after lookout points among visitors, and is often referred to as the “True Grand Canyon” when it comes to providing majestic, sweeping views of the magnificent landscape. This lookout point also serves as an excellent starting point for visitors because of its various offerings of modern conveniences and close proximity to Yavapai Point and the Grand Canyon Visitor’s Center. Mather Point was dedicated in honor of Stephen Mather, who was a driving force for establishing the Grand Canyon National Park. He was also the first director who handled the National Park Service. Mather loved the outdoors, and his favorite pastimes were mountaineering and hiking. Mather wanted to create a single, unified federal agency to manage all national parks, which was then handled by various government bodies such as the Forest Service and War Department. His considerable influence and fervor in this campaign was instrumental to the fruition of the National Park Service, established in 1916. Mather was given the title of First Director of the new National Park Service. Mather believed that the beauty and magnificence of natural landscapes should be preserved. He also believed in the development of tourism, in cooperating with concessionaires and the creation of railroads for people who wish to see remote parks and experience modern comforts at the same time. Much of his fortune was spent building essential infrastructures in many early parks. Tourists stand amazed with the view of Mather Point at the Grand Canyon South Rim National Park. Mather Point is located in the Grand Canyon South Rim, boasting a breathtaking view that has often graced the front covers of travel magazines and postcards. Visitors can gape at the 10-mile distance from where they are, to the Grand Canyon North Rim, or peer into the depths of the abyss below them. They can also take pictures of the stunning landscape presented before them – the canyon rocks showing off vibrant colors in perfect harmony with the painted skies above. Visitors get to experience an unprecedented view of the heart of Grand Canyon- the Colorado River, and a firsthand look at the many-layered rocks (Vishnu Schist, Coconino Sandstone and Kaibab Limestone) that make up the canyon. 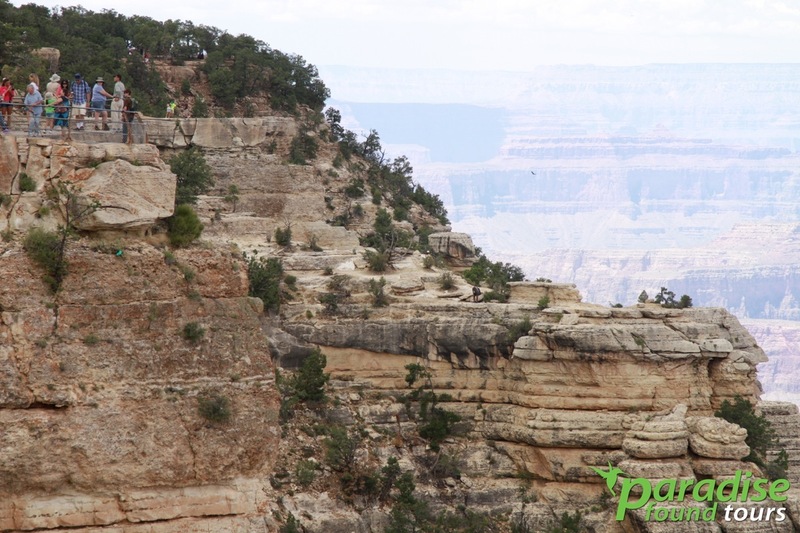 Mather Point has two distinct outcroppings that feature railed overlook points over from Bright Angel Trail in the west, to South Kaibab Trail and Yaki Point in the East. Walking on the Rim Trail will lead you to the Grand Canyon Historic District and to Yavapai Point. Four thousand feet below Mather Point rests the Phantom Ranch. This historic place dates back since 1050 A.D., accessible only by river, helicopter or by trail. Phantom Ranch is located just beside trail bridges that cross the long expanse of the Colorado River within Grand Canyon. The Grand Canyon’s guardians stand towering over the horizon. Standing from Mather Point, look to the East for Wotan’s Throne, Brahman and Zoroaster Temples- they are pretty hard to miss, considering their 8,000 feet elevation. You can stay on Mather’s Point and observe how these formations take on different hues, depending on the hour of the day. The rock formations can appear to be grayish or tan at noon, and take on a burnt orange, red or purple (sometimes altogether) hue come dusk. 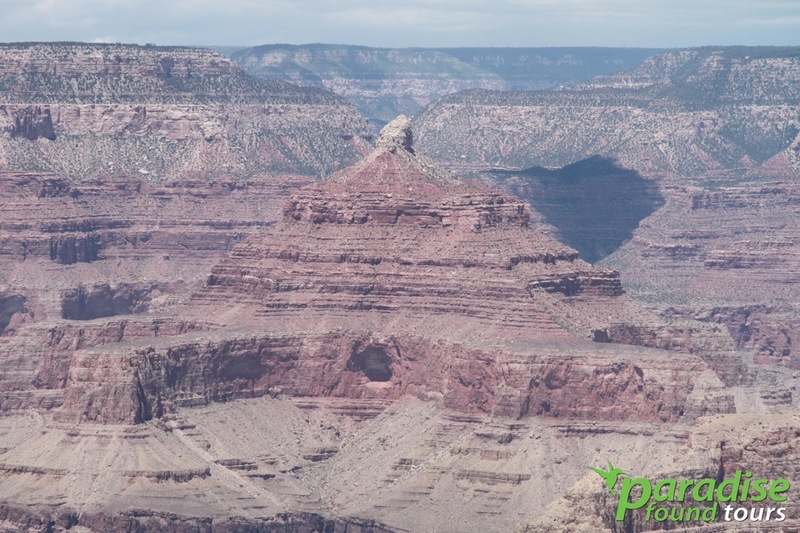 If you gaze west from the south of Colorado River you can see the wide swathe of Pipe Creek and the beautiful Bright Angel Trail. 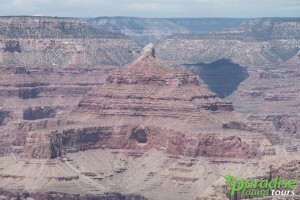 Scan the east coast and you can see the South Kaibab Trail along Cedar Ridge and a view of the O’Neill Butte. Turn your attention to the North Rim and you will be rewarded with a view of Bright Angel Creek, completely filled with carved formations such as rough buttes and deep ravines, further accentuating the majestic splendor of the Grand Canyon. Tourists travel from all over the world to holiday at the Grand Canyon, one of the favorite things to do of course is photography. The Grand Canyon is home to the rare California Condor taking to the skies above. You can often see them taking flight over the Grand Canyon Village, with other winged animals such as ravens, hummingbirds, swallows, Stellar’s Jays and canyon wrens. Some of the biggest Elk can be found here, along with mule deer and the Desert Big Horn Sheep (mostly in the inner canyon). Coyotes are fairly common in the Grand Canyon park, and their singing makes for an unusual surprise. There are occasional sightings of Bobcats, Mountain Lions and Black Bears, though they usually stay away from populated areas. Ringtails frequently make appearances should you decide to visit historic buildings. Abert’s squirrels are marked with tufted ears and are visitor favorites, along with smaller creatures such as chipmunks and squirrels. You can most certainly see them interacting with people at the Ice Cream fountain behind Bright Angel Lodge. Common striped skunks and their rare counterparts, the Western Spotted Skunk also make their rounds at the Grand Canyon. Reptiles show up in varieties of lizards and snakes. You can see the Grand Canyon Rattlesnake and its unusual pink/reddish skin blending in with the canyon rocks and outcroppings. Make sure to keep a safe distance when viewing these snakes- though they are keen to avoid human contact, safety should be priority above everything else. 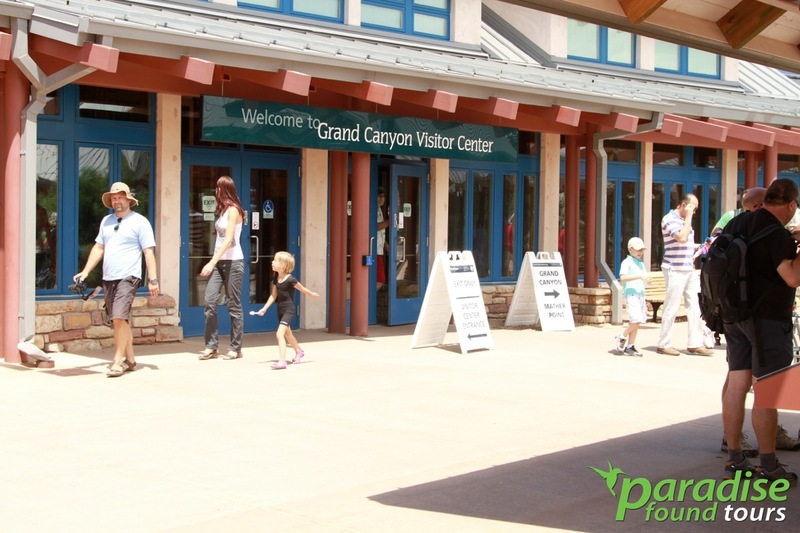 Grand Canyon Visitor Center has lots of fun things to explore inside and vital information that will make your trip go smoothly. 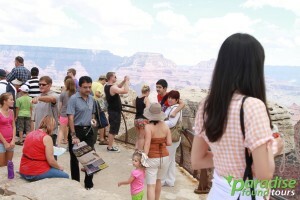 The Grand Canyon Mather Point offers visitors modern conveniences to enhance their Grand Canyon experience. 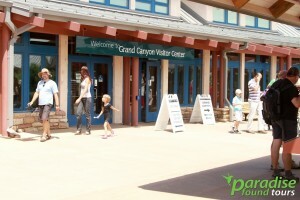 The Grand Canyon Visitor Center was opened in 2000 to accommodate the growing number of tourists visiting each year. You can find out about Ranger lectures and programs, explore their bookstore and exhibits, look at films, and purchase maps here. You can also visit the Mather Point Amphitheater and the Bright Angel Bicycles and Cafe for cycling and rest stops. 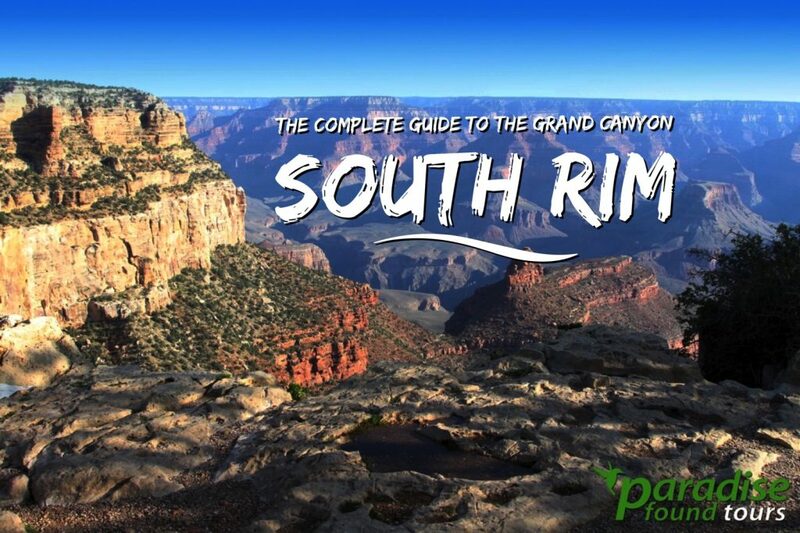 Those who wish to camp out can select from two camping points along the Southern Rim. The largest is the Mather Point Campground, featuring the Visitor Center, train and shuttle services, and lodges. Modern amenities are provided with restrooms that have showers and laundry areas. The Trailer Village is for RV campers who wish to camp out under the stars. It has electrical services, barbeque grills and picnic tables. Also located nearby is the town of Tusayan, home to the Grand Canyon Airport and IMAX Theatre, showing “Grand Canyon: Over The Rim and Beyond”. You can book helicopter, airplane, jeep and rafting tours here. The Grand Canyon rocks showing off vibrant colors in perfect harmony with the painted skies above. 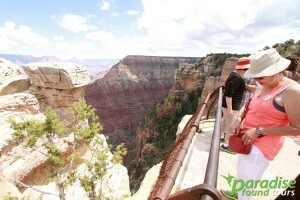 Sturdy railings protect those who are afraid of heights at Mather Point Grand Canyon South Rim. A tourist poses for a fun photo at Mather Point located at Grand Canyon National Park South Rim.